and the dood has 7* Han Solo and only done 59 raids? 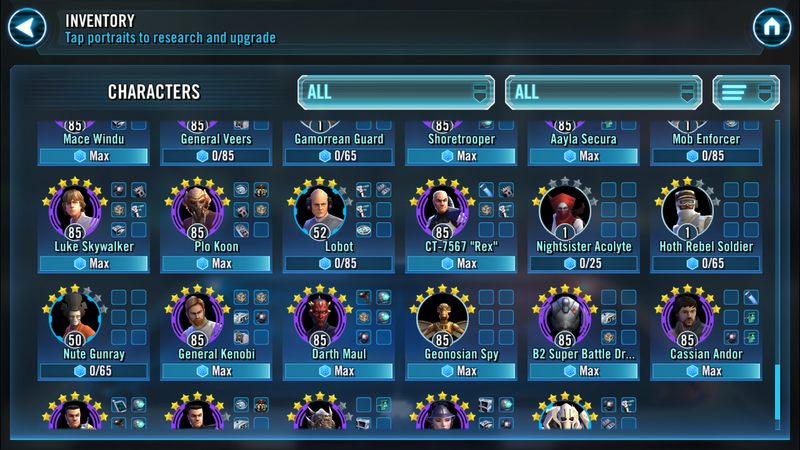 And 7* Cassian, which shouldn't be possible. Is this the same guy that popped up on here earlier? I would pm that LucifersDaddy guy. And a Geo Spy at max level 7* but no gear at all? Suspicious. 59 han solo raids it s 590 shards if he finishes first every time, far more than a full character. He is obviously a whale if you look at his roster. Remembered that after I posted and edited. Yes, but he can't also have done the required 30 tank raids. yeah, it's the same guy. So I don't have to fight him? If you want to report a potential cheater, please send a message to @CG_LucifersDaddy with details on why you think someone is cheating, your ally code and the name of the suspected cheater.